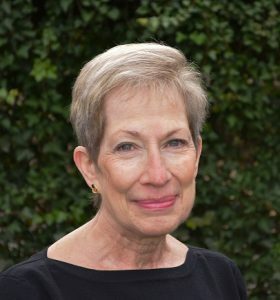 Maria B. Salvadore is the 2019 recipient of the Distinguished Service Award from the Association for Library Service to Children (ALSC). This prestigious award honors an individual who has made significant contributions to library service to children and to ALSC. Salvadore is the former coordinator of children’s services at the DC Public Library System, and a long-time literacy consultant and advisory board member for various educational non-profits. She has served ALSC as a member-leader in numerous positions over 35 years of membership. Her expertise in literature benefitted a number of media evaluation and award committees, including chairing the 1994 Caldecott Committee. She has served on advisory boards and helped shape ALSC partnerships including NASA @ your library, Born to Read, READ * WRITE * NOW, and Prescription for Reading. Salvadore is an educator and author as well as an outstanding librarian. She was an adjunct professor in the College of Information Studies and in the College of Education of the University of Maryland, and while there she served on the Advisory Council to the team that created the International Children’s Digital Library. Her belief in the importance of books for all children in multiple formats and multiple languages was clearly articulated in the years when online books – particularly for children – were a rare commodity. She is the co-author (with Susan Hepler) ofBooks Your Kids Will Talk About, and a contributor to Anita Silvey’s book, Children’s Books and Their Creators. A strong interest in early childhood education and literacy propelled Salvadore through earning a BS, MEd, and MLS from the University of Maryland College Park. She worked in the District of Columbia Public Library while in college. After completing her MLS, Salvadore left Washington to serve as Coordinator of Children’s Service at the Cambridge (MA) Public Library. During this period, she taught as an adjunct at Simmons College and worked with the Center for the Study of Children’s Literature in outreach to schools. She returned to Washington as Deputy Coordinator of Children’s Services where she later was promoted to Coordinator. ALSC is pleased to honor Maria B. Salvadore with the 2019 Distinguished Service Award!